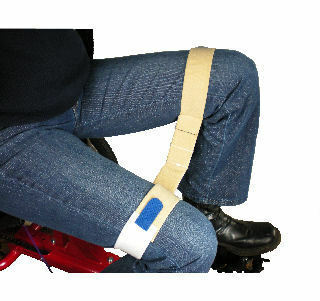 Knee Adductor Positioning Straps: Small, Medium or Large. Hook and loop secures this strap designed for riders who need help keeping their legs in proper alignment. Sizing is the circumference of the thigh just above the knee. 6-9 inches = Small. 10-14 inches = Medium. 15-19 inches = Large.